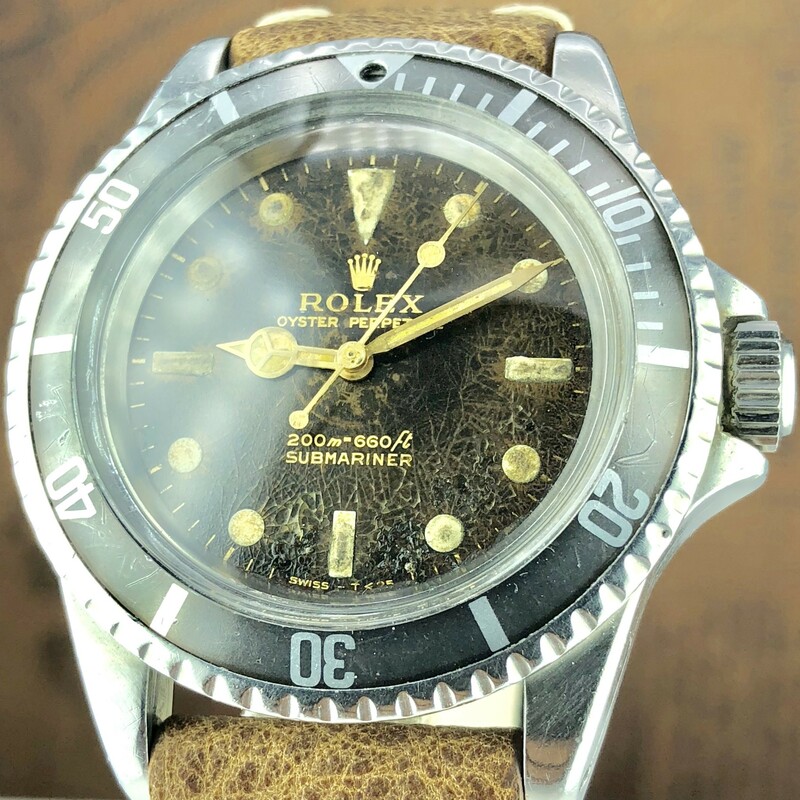 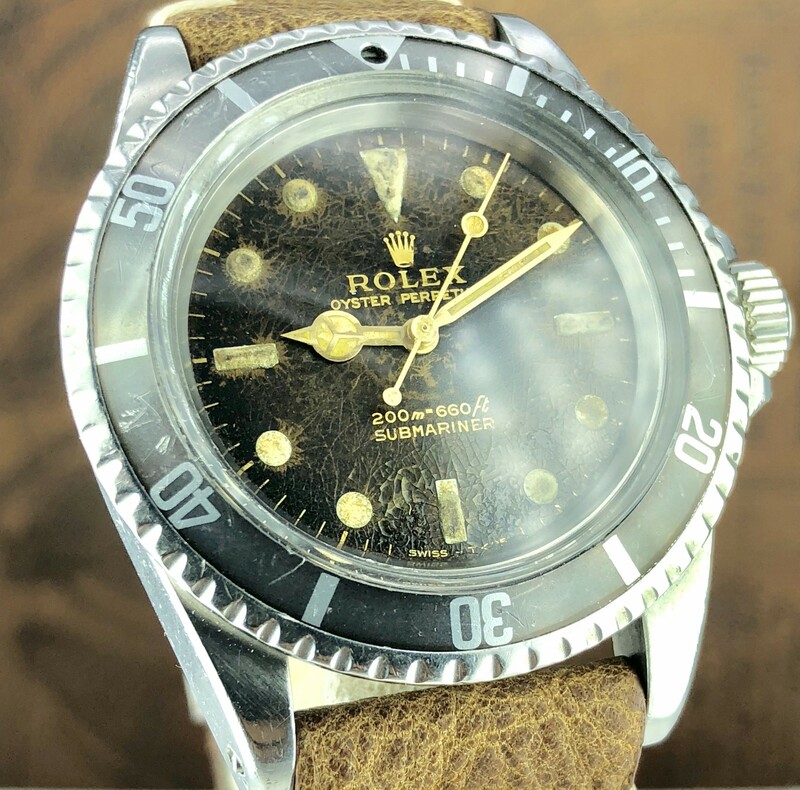 1967 Vintage Rolex 5513 Submariner Tropical Gilt Dial JFM Army Engraving. 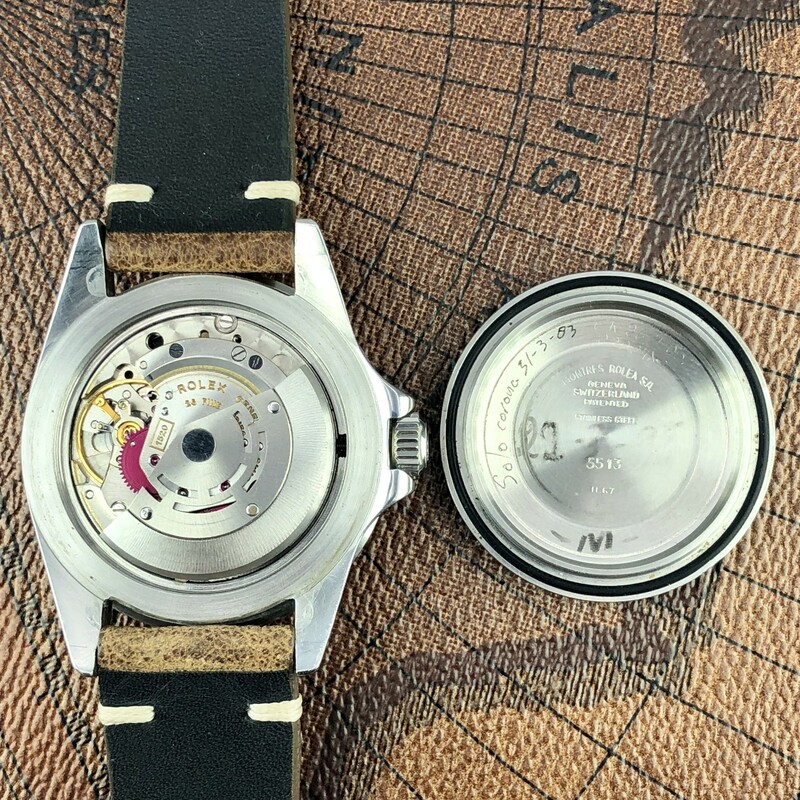 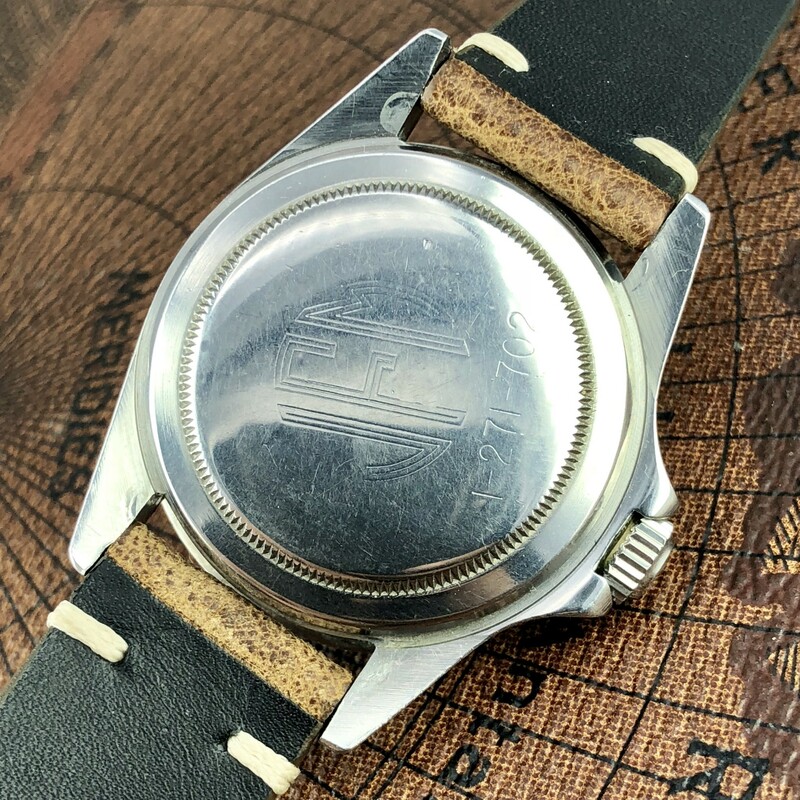 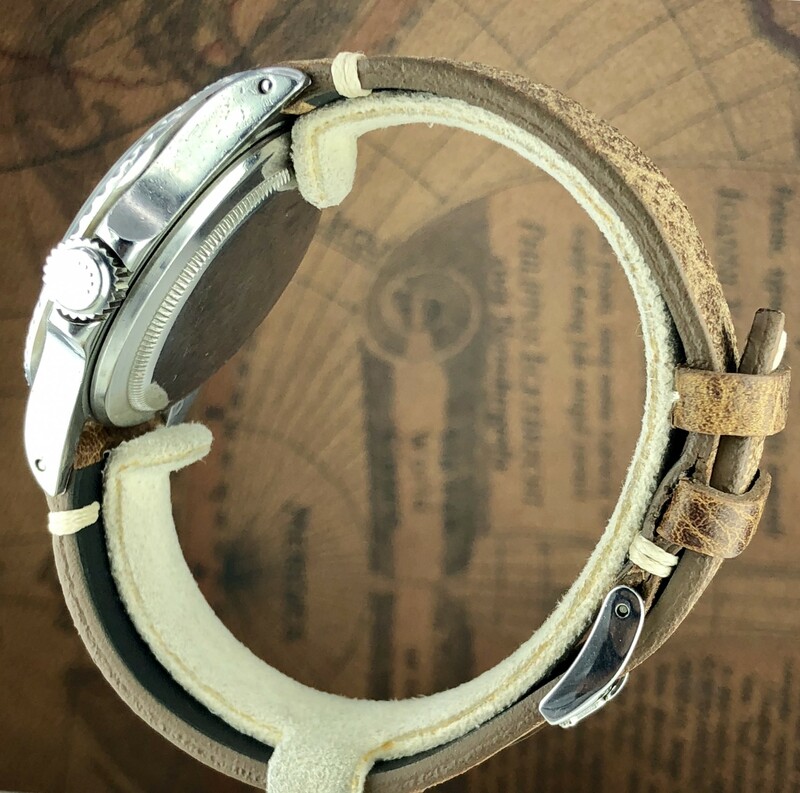 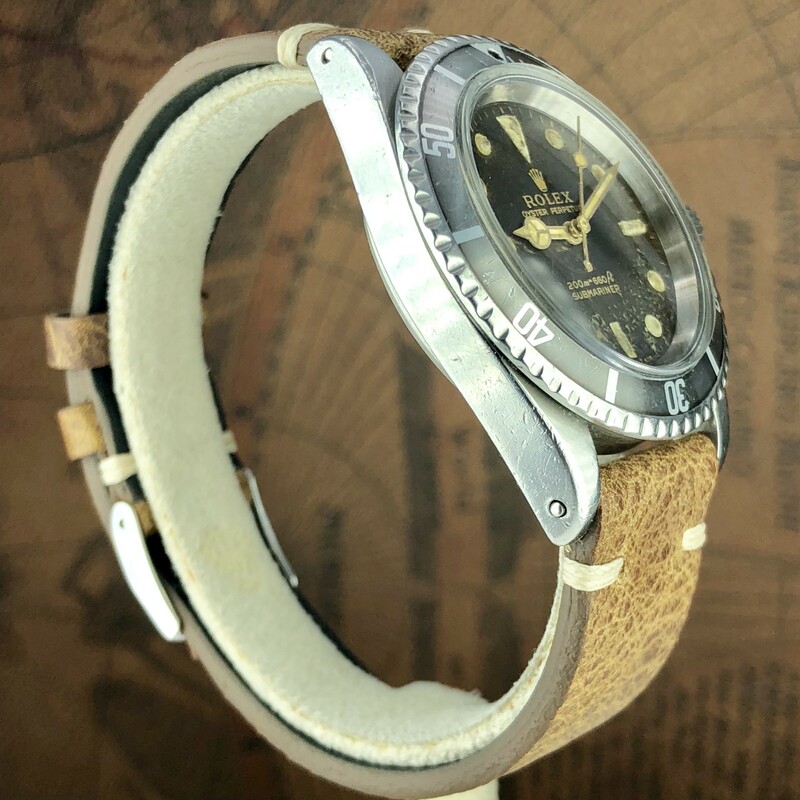 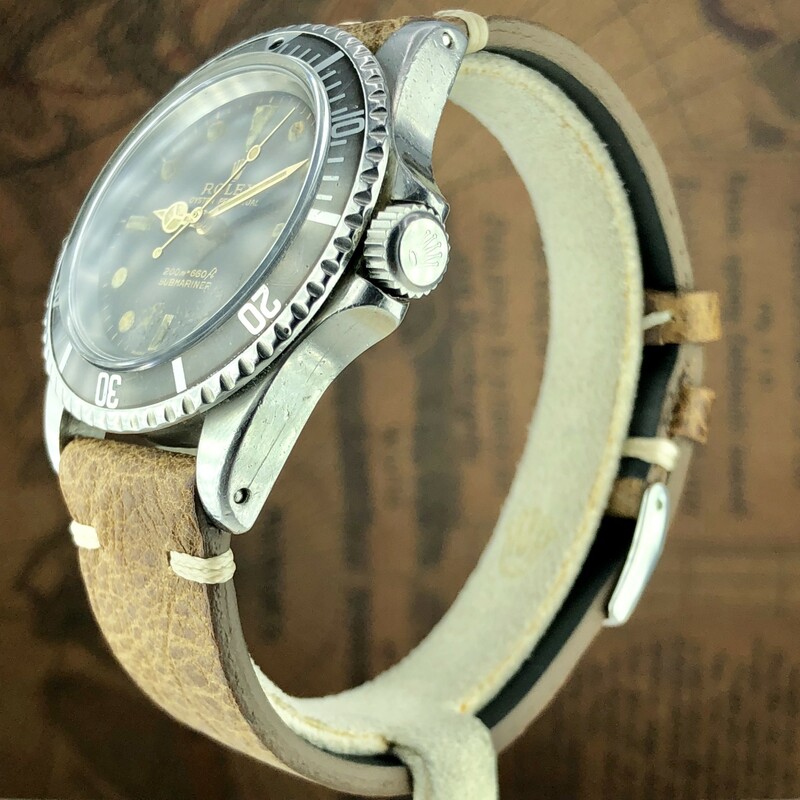 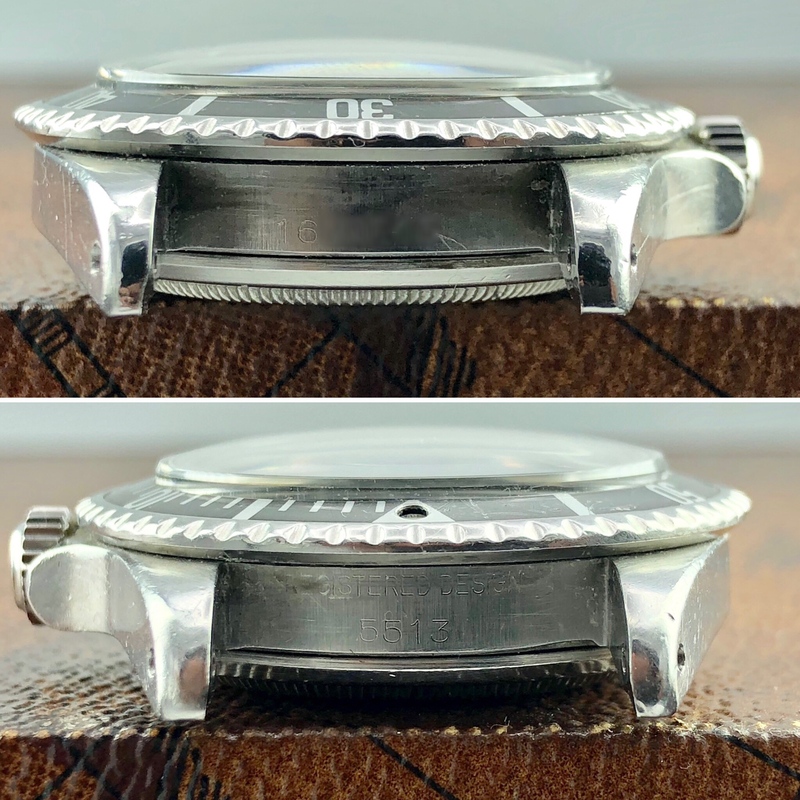 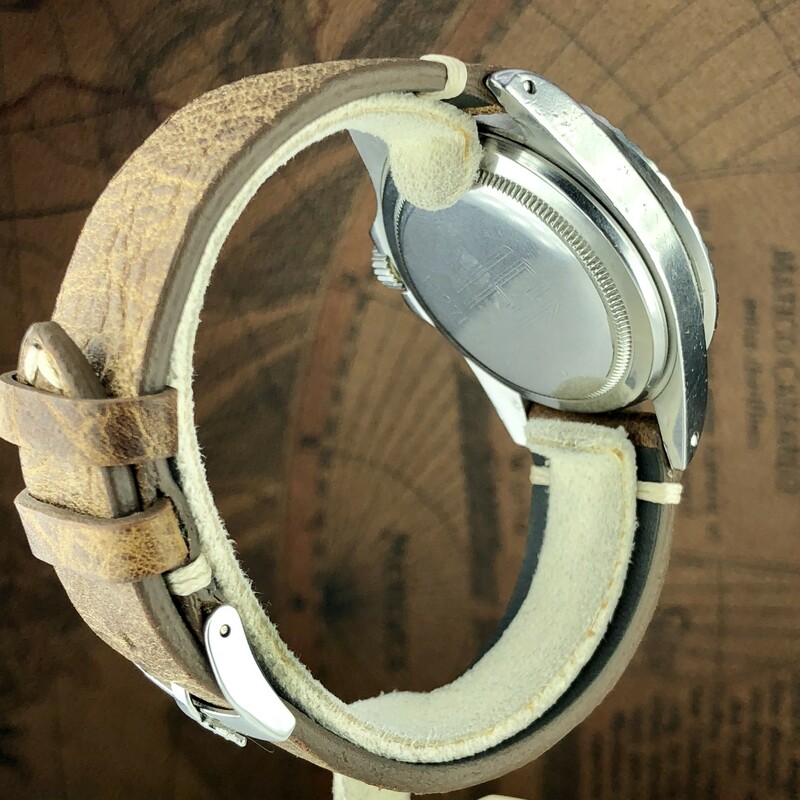 Case and band: Great case still full of material,original light gray faded insert, original bezel, Original case back dated II67. 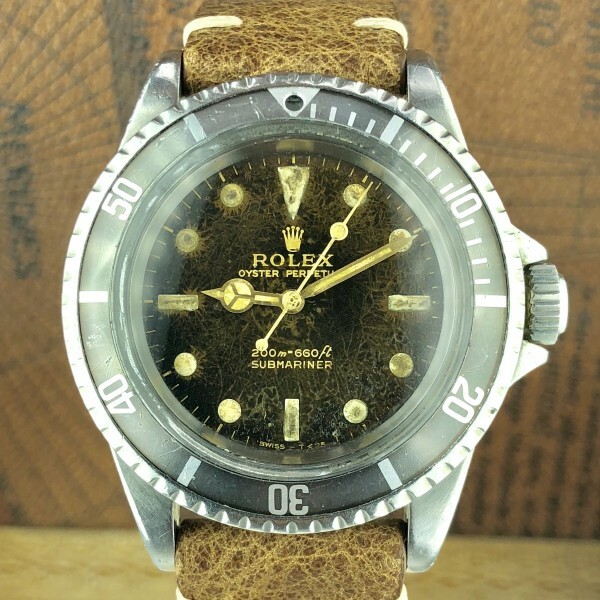 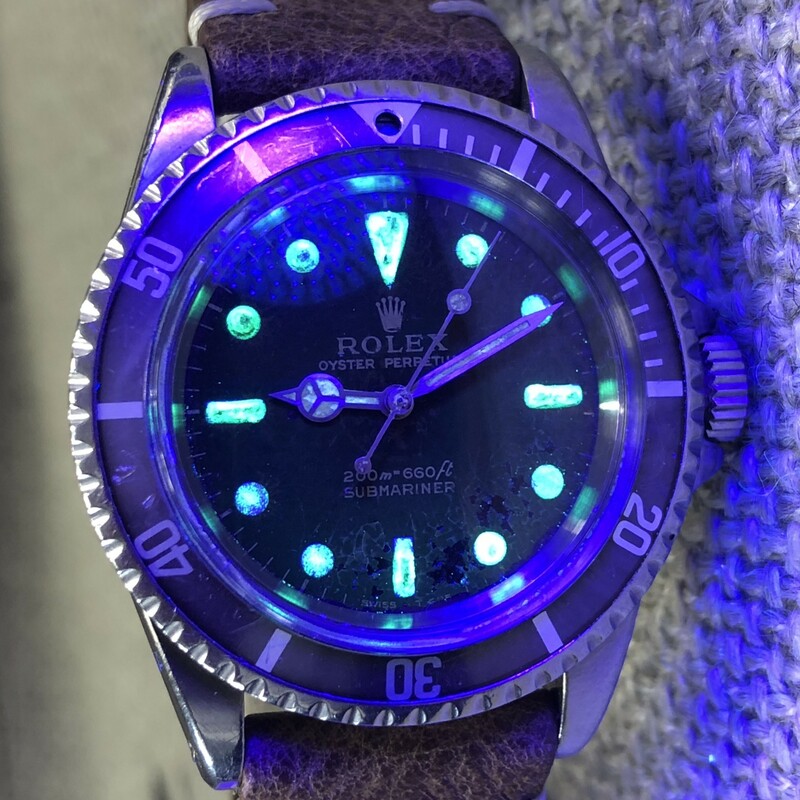 Non Rolex leather band. 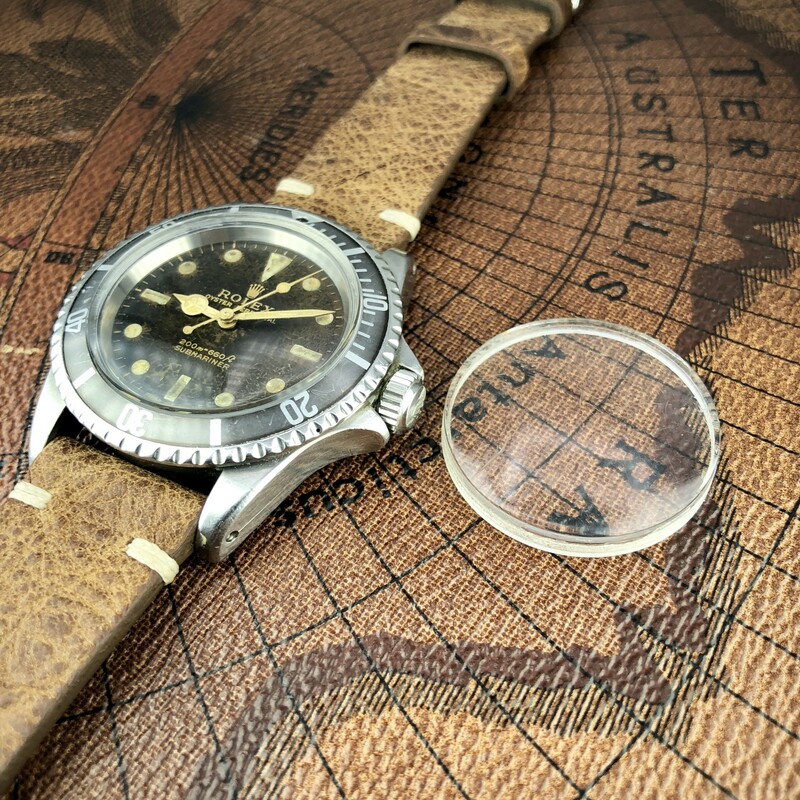 Dial and hands: Tropical gilt untouched dial in in original condition, some of lume is missing,original gilt hands matching the dial.